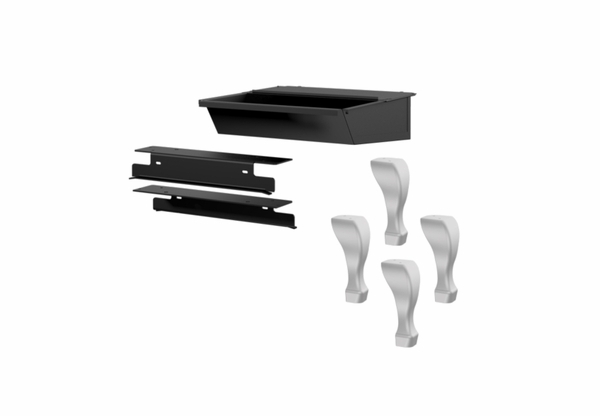 The Osburn Brushed Nickel Cast Iron Leg Kit with Ash Pan and Safety Lid, created for the the Osburn 2000 wood stove, is made of strong cast iron materials. The durability of the model aside, you'll find the aesthetics and high-level functionality initiates plenty of motivation to acquire the product. The beautiful brushed nickel plated finish is complete with a safety lid-enhanced ash pan and spacious ash drawer capacity: enhanced to allow for extended burns.